Selling an inherited home from a loved one can be an emotional process (not to mention a time consuming one). The last thing you need is to find unexpected obstacles that can prolong the process and waste precious time. This guide will provide a compass and road map and hopefully speed up the process for you. We hope you find it handy. The process of selling a loved one’s home is probably going to be emotional, from start to finish. Expect that. And, surround yourself with loved ones and professionals who will be empathetic and helpful. Inheriting a home is an incredibly complex issue with ramifications that can vary by state.. Be sure to contact and consult with the estate attorney as well as a CPA who is well versed in estate taxes early on in the process. 1. Make sure the will goes to probate. This is generally one of the first steps after the initial grieving and will be led by the attorney who handled the will. The attorney submits this to the court, usually within a few weeks. An executor will be appointed (generally this is outlined in the will). Please note that you can’t sell the house until AFTER the will has gone to probate. 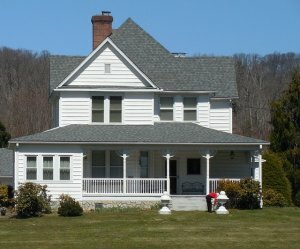 If there are no disputes with regards to the will’s authenticity, the probate judge will then begin the process of transferring assets from ownership of your deceased relative to the heirs, and the deed will be transferred Please note that a portion of the estate is held back in probate to enable ongoing payments for maintenance and selling costs until the house is sold. Once the house is finally sold, then the remaining assets, including the proceeds from the sale of the home, are distributed to the heirs. 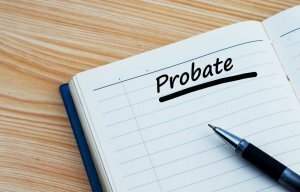 You can learn more about the probate process here. If you are the executor, you have a fiduciary obligation to maintain the value of the assets in the estate. 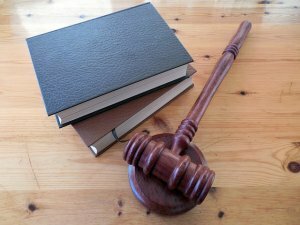 Costs from the estate (including real estate taxes, mortgage payments, costs to clean out and prepare the house for market, ongoing maintenance and utility costs) are appropriate (and necessary), and these will pass court scrutiny during the final accounting. Never mix estate money and personal money (including borrowing from the estate), nor distribute money before ordered to do so by the court. This is particularly challenging if you’ve been living with and caring your parent’s money. Once they’re gone, their estate (which includes their bank accounts) becomes a separate legal entity. Make sure you respect this line or else you may be liable for misappropriations. 2. 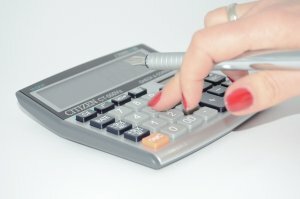 Determine ongoing costs for maintaining the house…and make sure they are being paid (e.g.. real estate taxes, heating and water bills, home insurance, lawn mowing if it’s spring/summer, raking if it’s fall, snow plowing if it’s winter, paying the remainder of the mortgage or any loans (if there are any), Home owner association fees/common charges (if it’s a condo/co-op), etc.). If the home still has a mortgage attached to it, this will have to be paid off (can be done via ongoing mortgage payments until the house is sold). Determine how these will be paid for (and make sure they are being paid). Usually, these will be managed by the executor of the estate (and guided by the attorney) and come from the estate proceeds…assuming there are some. Just make sure they are being managed and paid somehow. The last thing you want is to find you have additional penalties and problems from bills not being paid/paid late (e.g. you don’t want the house to go into foreclosure nor have any tax liens for real estate taxes, nor water or pipe freezing issues because water and/or heat gets shut off). 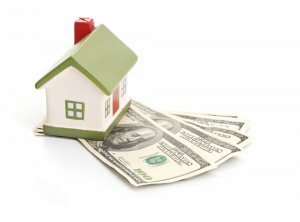 These sorts of issues can cost you way more in damages later and could even result in losing the house to the bank. Also, there may be some services that are no longer needed and you want to cancel (e.g. phone line, cable, car insurance, etc.). Do not cancel the home insurance. Murphy’s Law can easily strike and cost you a ton of money (e.g. there’s a hurricane, fire, heavy rain storm, a break in). And, yes vacant homes are more susceptible to these sort of issues since there’s no one there for early detection. Make sure you have a handle on your monthly costs. It will help you plan and it will make decision making easier. 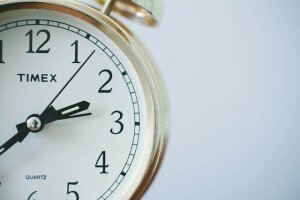 Yes…time is money and the longer the house sits, the more maintenance and taxes you will need to pay. (This can especially be an issue here on Long Island where real estate taxes tend to be high). 3. Get an official appraisal for the house. This is often handled by the executor of the estate, and it’s important for tax purposes (i.e. taxes you pay when you actually sell the house are based on the difference between the appraised value on the Date of Death vs the net gains when the house is sold (more about that later). This will also help you understand how much the house is worth (or appears to be worth) which will help you in your decision making as you work your way through this process. This could be done by an appraiser or a real estate agent. (Generally if it’s a very expensive estate, an official appraiser would be required but for the average American either will usually do). 4. Get the parties together to discuss roles and process. This will probably involve the relevant family members, executor and/or attorney. Make sure everyone who will be involved and has a stake in the outcome understands the process and roles. This should be a time of reconciliation and helping. It’s difficult for everyone (and remember everyone handles grief in different ways, so be there for each other and show patience and compassion). Ideally the family members will help each other and contribute. Role definition and expectation setting will make the whole rest of the process easier. Clear the personal belongings – Determine which (if any) items you or other family members want to keep. 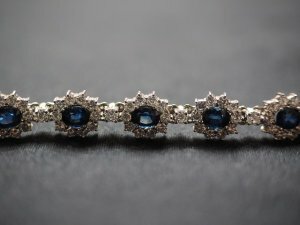 With the remaining items, consider holding an estate sale to sell as many items as you can. This will help you raise a bit of cash to put towards the other stages of the process. Clear all the “stuff” such as papers, personal possessions, and items that should go in the trash. 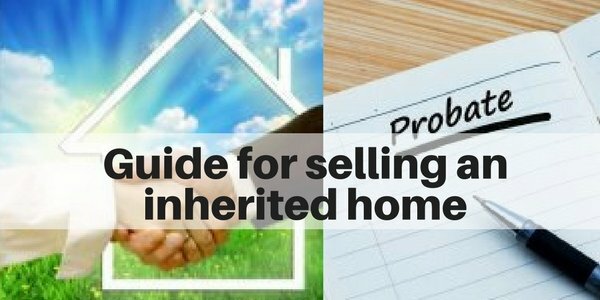 Bear in mind this is one of the most challenging and emotional aspects of selling an inherited home. 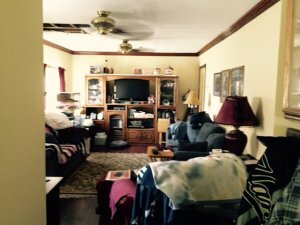 You may find this article helpful: 9 Tips for cleaning out your late parent’s home. Also, don’t forget to get a good night of sleep the night before and eat well. It will definitely help you physically and emotionally. This can be draining emotionally and physically. The more you enlist help from family and friends (and the more you can outsource), the better off you’ll be. Don’t be shy…just ask! And, yes, you can hire people to help. If your parent had a home health aide, you could consider asking that person. Be thorough. Check pockets and wallets for tossing items. I remember when we cleared out my grandmother’s house and we found all sorts of cash in her clothes and drawers. It was enough for all 10 of us to go out to dinner. In fact, it came to the exact dollar amount which made us feel like she was watching over us (in a good way). Be sure to locate and separate all financial/legal documents (e.g. stock certificates, tax returns, 401K, title/deeds, bank statements, insurance policies, etc.). Preserve any sentimental photographs and memorabilia. When it comes to personal items that family members would like, be sure to divide things evenly on a monetary basis (and yes, this is easier said than done). Consider making charitable donations, especially for clothes (which lose their resale value). Also, consider hiring a liquidator as they may be able to save you a ton of time and headache. 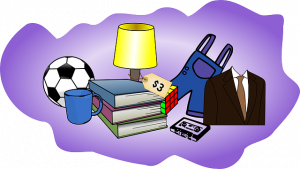 Some are able to donate items to cover their cost and some will net you a bit of money. Importantly, it will save you time and allow you to move on to the next stages. For some, this is a cathartic process and helps you let go. It can help you say a final goodbye and it’s a labor of love. Clean the house thoroughly – Clean it at least to the point where you feel comfortable having others walk in the place. Houses can be in a variety of states after an inheritance. It happens unfortunately, and it is normal. For the initial cleaning, you may be better served hiring a professional cleaning person or service. They can generally do this much faster (and it’s not a large expense). Most importantly, this may ease the emotion you are more than likely feeling during this initial stage. (Note: you will need to do additional cleaning over time as dust builds up and you may need to do some repair work). But, at the start, get the place cleaned and aired out. You’ll feel a weight lifted off your shoulders. 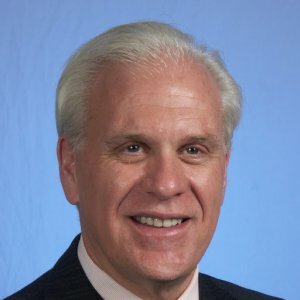 Interview/hire a real estate agent – More advice about selecting the right realtor in the next section. But, it’s important to consult experts early. 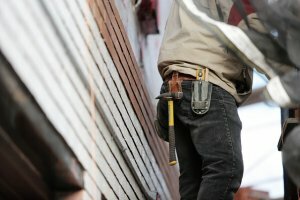 Get their advice on the value of the house and importantly what (if any) repairs and improvements to get the house sold. They will give you advice on what’s necessary as well as which repairs will improve the value of the house and net you the best returns. They can also be a very valuable resource for recommending contractors (including a stager and people that can help clear out the contents if you need that). They will advise you if there are MUST HAVE repairs. There are certain basic items that are required for most buyer loans (e.g. running water, working heat, functioning roof, avoidance of peeling paint, etc.) You can read more about the FHA requirements here. Have an estate sale (or yard sale). After you’ve taken care of the items the family would like, you’ll want to take care of the remaining items. Bear in mind that homes sell better when they’re either empty or well staged. Old, dated furniture makes the house look out of style and depressing. It also makes the seller look desperate to sell the property (and that means you’ll get a bunch of low ball offers). You may find this article comes in handy. Are you downsizing? Here are 4 tips. Even though it’s written for Baby Boomers who want to downsize, the principles and advice on how to handle all the extra “stuff” is super helpful. Success in selling the home will depend on the confluence of price and condition/value. The more you improve the value and condition of the home, the higher the price you can sell it for. It’s as simple as that. So, the more you clean, declutter, repair and improve the home, the higher the price and the less you do, the lower the price will be. 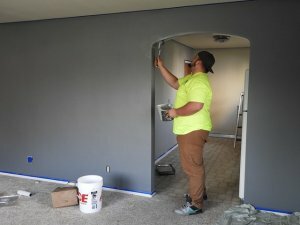 Usually, this will involve general repairs, a fresh coat of paint, upgrading/refinishing the flooring, cleaning the yard/improving curb appeal. Often minor improvements to the kitchens and baths will help (e.g. paint cabinets white, reglaze dated tile to make it white). Do all the required repairs – And, remember repairs will usually be easier (and less expensive) to do after the house has been cleared out. These would include items that are broken and obvious eye sores, as well major issues that will prevent buyers from making an offer (e.g. roof repair, furnace, peeling paint, and other FHA requirements…see above). If the home’s major mechanical systems are old, sellers might want to pay for a home warranty rather than replacing them. Declutter and depersonalize – This may take place during above steps as you clear out the furniture, personal items and mementos. Decluttering will help your house show better – both in person and online – the first place potential buyers will see the home. Make sure that the house (including decor) is neutral and appealing to buyers. This would include making sure you have paint and floor colors that are widely appealing and show the house off at its best. Often that means going lighter on the walls as that makes the space look brighter and larger. This will help the buyer feel the home has a blank canvas and they can make it their own. Do the repairs/improvements that should net return a positive return and speed up the sale of the house. Consult your real estate agent on this. Often, there are several projects that are well worth the expense to make the house more attractive to buyers (e.g. 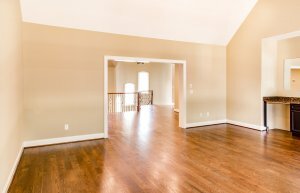 rip up the carpets and refinish the floors, add a fresh coat of paint/neutralize colors if they are dark or taste specific, etc. 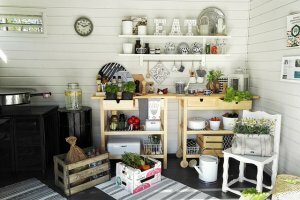 The needs for every home may be different, so take an objective look at the house (and look at your competition…how do other houses in the neighborhood look). And, the funding available may be limited as well. Get estimates and consult the professionals so you can make smart choices. Super clean the house. After all the repairs/improvements are done, you’ll want to do a major clean. This is where you really want the house to sparkle. Make sure everything is clean – all rooms (including closets) and all surfaces (including window frames, base molding, toilets, sinks, etc.) And, make sure that while the house is on the market there are periodic cleanings. They will be needed as dust can settle and as people tour the house, they can make things dirty, especially around the entrance areas and especially in the winter. They may use the facilities, too. And, if the house isn’t in use, turn on the water and flush the toilets every so often. (and check for bugs/spiders/webs…I see them in 80% of the vacant homes I enter). What types of flooring give you the highest return on investment? NOTE: If you feel all of this is overwhelming, remember that you do have the option to sell your Long Island house “as is” to an investor. This is often a good option if your house needs extensive repair or if you live far away. (Please see below for more info on this option). Choosing the best agent to sell the estate is one of the most important decisions you can make. Don’t just go with the first person you interview or the family friend. Go with someone who you believe will do the best job for you…one who will market the house the best and negotiate the best on your behalf. You want someone with experience – someone who knows the market in this area, someone with a strong success record, someone who knows how to price it right. You want someone knowledgeable and can give you a fair market value and properly advise you on how to prepare the house for the best return. IMPORTANT: Do not select a realtor just based on the one who tells you the highest price. It’s tempting to do this, because most people “hear what they want to hear” and not necessarily what’s true. Some newer agents and some desperate agents tell you a higher price so that you’ll hire them, not necessarily because that’s what the house is actually worth. Just because someone tells you a high prices doesn’t mean they will sell it at that price. But, remember, the market sets the price, not the realtor. So, don’t fall into this trap. Interview a few agents so you feel confident in your decision (after all, this is a big asset). By interviewing 3 or 4 agents, you’ll also get different perspective on what the listing price should be and this will help you be realistic and strategic. 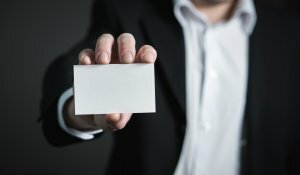 Here are two excellent articles on selecting the best real estate agent: How do you pick a real estate agent? and, How to interview a real estate agent when selling a home. Pricing is probably your most important decision (although this goes hand in hand with choosing a great real estate agent as they generally will recommend the best price for you based on a comparative market analysis and based on a smart pricing strategy). There’s always a dilemma here because naturally buyers want the lowest possible price and sellers want the highest possible price. The key is to find the happy medium where both will agree. And, sometimes you will get lucky and hit that magical price so that you end up with a bit of bidding war. Don’t price it too high…This is probably the worst decision you can make. Many mistakenly take this approach thinking that this will give them a buffer to negotiate with. But, that’s really not how the housing market works. Buyers (and their agents) aren’t stupid, and they have access to past sales (not to mention plenty of online data) and they are only going to pay what the house is worth. The market sets the price. It’s a fair market value price, not what you want, hope or need the price will be. The danger with setting the price too high is that you won’t get any offers, and you’ll miss all the buyers that were in your range. The 1st 2 to 4 weeks on the market are critical, and that’s where you’ll get the most exposure, traffic and offers. If you miss this critical window and your house lingers, that will lead to a longer time on market (which costs money in maintenance costs and prolongs the process) and it will reduce your selling price. The longer a house lingers, the lower the price it will sell for, especially as buyers start to wonder what is wrong with the home. Don’t price it too low…You don’t want to leave money on the table. This is always a careful balance. And, remember you can counter offers that your receive. And, sometimes when you are a bit below market value, it will create a bidding war which can drive up the price. The key is find the sweet spot. Choose a realistic price…Select this price based on real market data (usually comparables that actually sold in the last 3-6 months) or just slightly below this price. This will usually enable you to sell faster and reap the highest return (even though this may sound counter intuitive). Be careful not to use the prices of listed houses…remember, these haven’t closed…and they may not sell for those prices (some of them are over inflated and just wishful thinking). Don’t offer too many concessions. Some buyers will ask for the world – a lower price, closing costs and lots of repairs. This is often the sign of a challenging and inflexible buyer and could be a sign of how the rest of the process may unfold over the next 2 to 3 months. Work with your real estate agent to negotiate and to let you know what’s typical and reasonable. Sometimes, these are common (e.g. if it’s a strong buyers’ market); other times, it’s over the top or even inappropriate if it’s a sellers’ market). And, remember that real estate is local…if the family members live in different areas, real estate in their area may be different…all that matters is the market where you’re trying to sell the house. Educate yourself on both buyer and seller strategies. This will help you be better prepared and you will react more strategically (rather than emotionally). You can research this online, but usually, your real estate agent will be the best resource for you. Remember, they do this way more often than you do! (remember, choose your Long Island real estate agent wisely (see above)). 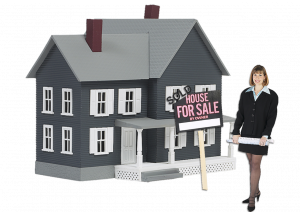 The process of selling a home can take many months, depending on the condition of the property, the value of the home, the list price and market conditions, especially the inventory of other similar houses. There are other factors at play including the skills of your agent and seasonality. Sometimes selling in the spring is great because there are more buyers…but there is also more competition. Selling a house is a multi step and complicated process. It’s easier if you are well prepared. The home inspection can lead to some surprises. This happens more often with inherited homes where you may be less familiar with the property and also where there may be a lot of deferred maintenance. You’ll want to consult with your agent if you have a lot of big surprises. Your agent will know which requests are standard vs which may be unreasonable. They may also have tips on whether it’s better to fix the issue or provide money in escrow for the buyer. Too many cooks in the kitchen can spoil the broth. Yes, siblings/heirs can have different opinions (and competing priorities), so this sometimes slows down the decision making process at every step along the way (e.g. choosing an agent, when to sell, what the list price should be, which repairs/improvements should be made, accepting/negotiating offers). Sometimes, members drag their feet on decision making simply because they aren’t ready to let the house go yet, especially if it was their childhood home. Be aware of the pitfalls and challenges. Sometimes, this may even result in losing a buyer. If you plan ahead in the initial stages and develop principles and boundaries, this will make things easier and faster. Handling equal distribution fairly – Most wills divide assets equally among siblings or beneficiaries, but sometimes complications arise when it comes to agreeing on value of non-liquid assets, especially sentimental objects. And, of course siblings can argue about who gets what in addition to the amount of value placed on items. A great resource for this is Julie Hall, The Estate Lady. She created a practical guide that you can buy on Amazon: “The Boomer Burden: Dealing with Parents’ Lifetime Accumulation of Stuff. She also has an online blog. Try to be generous and open. Sometimes tough times like this bring out the worst in people and sometimes the best. Sometimes this will drive a rift between family members. Try your hardest to avoid this. Vandalism – Yes, this can be a concern for vacant houses, especially if the heirs live far away. Make sure the house is properly locked up and secure. And, make sure someone periodically checks on the place. Avoid feeling guilty over stuff you don’t want to keep – It can be emotionally draining to save the items and memories. Sometimes, it’s healthier to let the objects go. Sometimes it better to hold on to them. Go with your gut. You may find more repairs than you anticipated – This often happens when an aging parent is unable to keep up with the regular maintenance of a home. Some issues may be invisible until the home inspection is done. You may be less familiar with the issues if you haven’t lived there for years. You and your siblings may not agree – This happens often and slows down the process. There could be different opinions on the list price, on repairs, on which contractors to use, on negotiations. The more you defer to the experts (e.g. 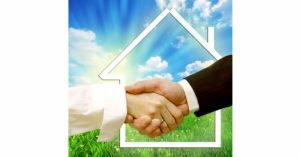 real estate agent, stager, contractors), the better off you will be…both in the selling process and in maintaining healthy relationships with your family members. Tax on inherited property is different vs when you sell your primary residence house. When you sell property you’ve inherited, your tax basis for the property is the home’s value on the dated of death. This is one of the reasons that you’ll need an appraisal. The difference between that value and the amount you realize from the sale is the gain on which you owe taxes. And, if you sell it below that, then there is no tax. So, for example, if the house was worth $500,000 and you sell it a year later for $550,000, you would just pay taxes on $50,000. When several siblings inherit equal shares in a property, they divide the gain equally and each claim that share on their taxes. So, if there are 2 siblings, in this case, they would each receive $275,000 and just pay taxes on $25,000 of that. (The capital gains exclusion tax does not apply here). How much it will net you and/or the other heirs and the tax implications for you. In some cases, this may impact when you want to sell the house or the closing date(i.e. which calendar year). But, don’t forget maintenance costs of holding onto the house. Note laws are different if someone moves into the house as their primary residence for 2+ years…always consult your CPA. You will usually have lower taxes if the house is sold after death because you get a new basis for the capital gains tax. Of course, this doesn’t always mean that it’s best to wait (if you have an aging parent) because you will need to pay real estate taxes and maintenance taxes until the house is sold (which could be years). Every situation is different. Connect with a tax advisor early to understand any tax implications. Please note that some states also have an inheritance tax and this could vary based on the value of the entire estate (liquid and non liquid assets). These are due 9 months after the death. Keep your receipts for expenses in repairing/prepping the house for the market as these are often tax deductible. After the sale, know where and how to report the sale proceeds as this is taxable income. Note: even if you don’t have to pay taxes on the sale of the property, it’s still a reportable event. And, there are differences between inheritance tax and estate tax, and there are even some differences among states. It’s always best to consult an accountant and/or tax attorney to make sure everything is followed and reported appropriately. 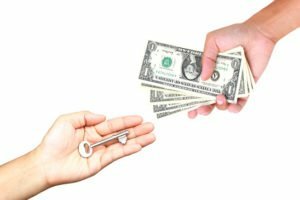 Related article: If you inherit a home, do you qualify for the $250,000/$500000 home sales tax exclusion? This can obviously vary based on the situation – size/value of estate, condition of home/how much repair is needed, availability/funding of the heirs, ability of heirs to come to consensus, etc. For most people, this will take 3 to 6 months. And, of course in a good number of circumstances it can take significantly longer. I have seen some homes sit for 1- 2 years before they are ready to hit the market. Once on the market, the time can vary. Currently, the average days on market for Nassau County has been hovering around 190 days meaning that it takes an average of close to 6.5 months for a house to sell (assuming it does in fact sell). So for most, it may take 9 to 12 months to go through this process (and it can take significantly longer if more repair is needed and/or significantly longer if the house doesn’t sell (e.g. if it’s over priced). 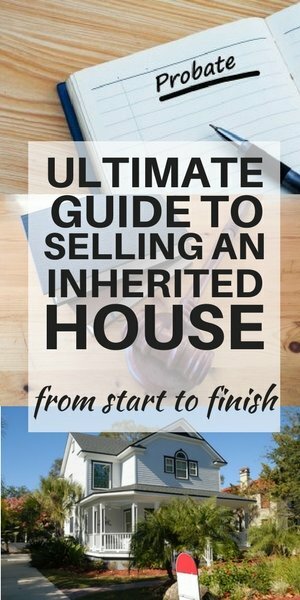 Yes, preparing an inherited house for the market costs money…and at times, it can get rather expensive, pending on the condition of the home. In some cases, estates (or their heirs) don’t have the cash on hand to make these improvements, and they find themselves in a Catch 22 situation. In other words, the house won’t sell until the improvements are made, but you may not have the funds to make the changes until the house sells. Here’s where an investor can really help. What can you do if you need to (or want to) sell the house much faster? What if the house needs a ton of repairs and you don’t have the funds to make the repairs or bring the house to a marketable state? 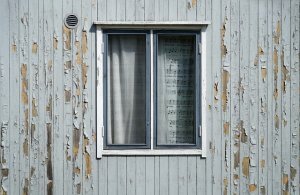 If the home is in very poor shape, it’s sometimes best to market it to an investor, as they are more likely to buy it “as is.” They will have the funding and access to contractors who fix and flip the house (or rent it out). This can save a LOT of time and headache. Many that inherit homes are busy with their own career and it’s hard to take a lot of time off from work. This can drag out the process (and the emotion)…and all the meanwhile, it’s costing you money (not just lost wages, but also money for real estate taxes and maintenance costs for a house. This can be even more difficult if you live in another state…or just far away (We all know that the traffic on Long Island can be brutal). 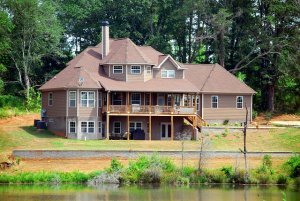 If the inherited house you have is on Long Island, we can help you with that. Typically, it will often take 3-6 months to clean and prepare a house for the market. (More often than not, it’s closer to the 6 month mark or beyond as everything seems to take longer than you think, especially when you have multiple heirs that need to agree on decisions). Then, once the house in on the market, typically here on Long Island, it will take another 6 months to close. This assumes 3 months to find a buyer and then another 3 months to progress from accepted offer to close. Here in NY, we are an attorney state, so everything takes longer. So, you have to negotiate the contract (often at least a month), get inspections, appraisal, and loan approval, and of course the interim negotiations that may occur due to inspection and appraisal red flags. And, you may also have additional delays due to timing on the buyer side (e.g. sometimes they need to sell their house before they can close on the new house. This of course assumes that you do find a buyer (and yes, many homes do just sit on the market as many tend to over price their house). 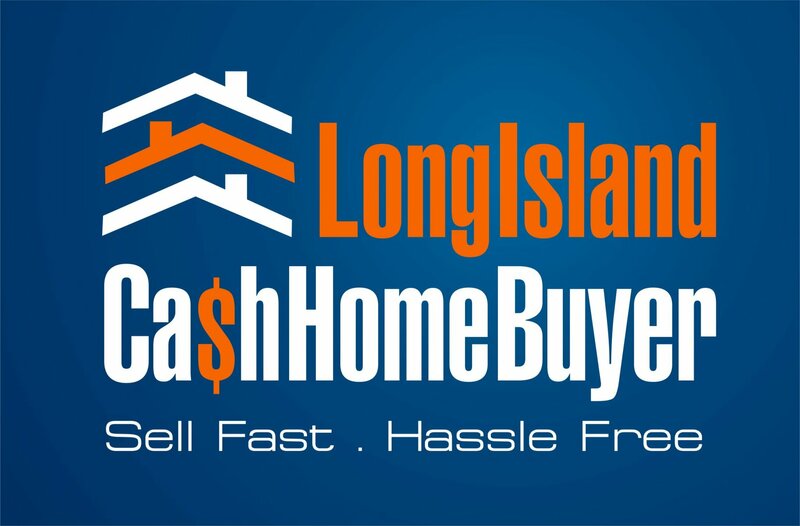 Here at Long Island Cash House Buyer, we make things easy and fast for you. First, we will buy your house “as is.” Yes, “as is!” We will fix whatever issues the house has (i.e. we will take care of all the repairs, any tax liens you may have and we can even clear out all the extra “stuff” and/or mess. This will make things fast and easy for you, and you and the other beneficiaries will be able to disburse the remaining proceeds right away. 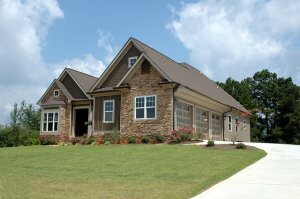 If you inherit a home, do you qualify for the home sale tax exclusion? What happens to debts after you die?